Unlock your home's true potential with our industry-leading range of aluminium and timber products, designed to improve your home or extension. We offer homeowners throughout South Wales the opportunity to enhance their property with windows, doors and conservatory roofs that combine premium materials with contemporary manufacturing techniques to deliver an unrivalled standard of aesthetic, performance, design, thermal efficiency, durability and security. We specialise in market-leading aluminium and timber products, bringing a harmony between traditional charm and the cutting-edge options currently available in the industry. 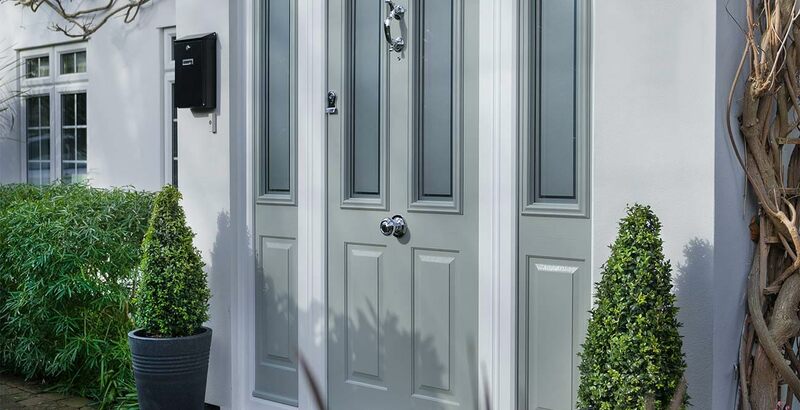 We also offer luxury composite doors and high performance lantern roofs, offering a bespoke home improvement option that will allow you to make a house a home. All of our products are produced by craftsman and are subject to rigorous quality checks to ensure standards are upheld. We offer bespoke, tailored quotes to enable you to get a premium addition to your home in a way that suits you. We understand the importance of your home, which is why we always work to a professional standard. We are proud to be certified installers of a wide range of market-leading products, including Reynaers aluminium windows and doors, Timber Windows UK windows and doors, Bison sliding sash windows, Evolution entrance and French doors, Pirnar and Solidor composite doors, along with luxury designer door manufacturer Spitfire. This means that we only deal with the very best that the industry has to offer, allowing you to enhance your home with a new addition that stands in line with the demands of the modern age. With the quality on offer, it’s never been easier to enjoy a property that remains warm, comfortable and safe throughout the year. Throughout the month of May you can save an incredible 10% off all Timber windows and doors in our Spring Sale! Contact our friendly team for more details. Our sliding sash windows emulate the traditional window design in an effective way. We offer a 10 year guarantee to ensure you’re always satisfied with your windows. We offer modern aluminium windows that will transform your home. Our aluminium windows are guaranteed to have an outstanding level of thermal efficiency. This year we are proud to announce the launch of our brand new website. The website has a bespoke design to make it as easy as possible for our customers to view our products. A maintenance-free solution, in keeping with an authentic look. An authentic timber-effect look, with modern insulation. A thoroughly modern interpretation, featuring classic design details.